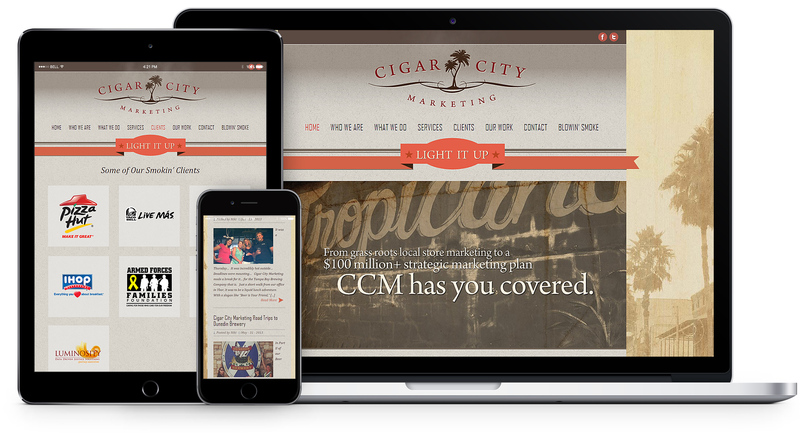 Cigar City Marketing came to us asking for an identity, and website. It turns out that these awesome ladies in Florida are one of Konig Media’s biggest clients, and we now work together on a daily basis. Cigar City is a full service ad agency with clients like Taco Bell, IHOP, Long John Silver, and Pizza Hut.